Blanket measures 30” x 42”. RED HEART® “Sweet Baby™”: 3 balls 7772 Lolli A, 1 ball 7855 Wading Pool B.
Crochet Hook: 5mm [US H-8]. Yarn needle. 8 rows = 4” in pattern. NOTE: Blanket is worked from corner to corner and IS NOT square, but a slightly skewed diamond shape that makes it ideal for swaddling. SB (Shell Below) = Work 3 dc over the ch-3 and into the 2nd skipped stitch in the row below. inc (increase) = At beginning of row: Ch 3, dc in first dc. At end of row: 2 dc in top of ch-3. dec (decrease) = [Yo and draw up a loop in next dc, yo and draw through 2 loops] twice, yo and draw through all 3 loops on hook. Row 1 (Wrong Side): With A, ch 3 (counts as dc), 2 dc in 3rd ch from hook; turn – 3 dc. Row 2: Inc, dc in next dc, inc; turn – 5 dc. Row 3: Inc, dc in next 3 dc, inc; turn – 7 dc. Row 4: Inc, dc in next dc, ch 3, skip next 3 dc, dc in next dc, inc; turn. Row 5: Inc, dc in next 2 dc, SB, dc in next 2 dc, inc; turn – 11 dc. Row 6: Inc, ch 3, skip next 3 dc, dc in next 3 dc, ch 3, skip next 3 dc, inc; turn. Row 7: Inc, dc in next dc, SB, dc in next 3 dc, SB, dc in next dc, inc; turn – 15 dc. Row 8: Inc, dc in next 5 dc, ch 3, skip next 3 dc, dc in next 5 dc, inc; turn. Row 9: Inc, dc in next 6 dc, SB, dc in next 6 dc, inc; turn – 19 dc. Row 10: Inc, dc in next 4 dc, * ch 3, skip next 3 dc, dc in next 3 dc; repeat from * to last 2 dc; dc in next dc, inc; turn. Row 11: Inc, dc in next 5 dc, * SB, dc in next 3 dc; repeat from * to last 3 dc; dc in next 2 dc, inc; turn – 23 dc. Row 12: Inc, dc in next 3 dc, * ch 3, skip next 3 dc, dc in next 3 dc; repeat from * to last dc; inc; turn. Row 13: Inc, dc in next 4 dc, * SB, dc in next 3 dc; repeat from * to last 2 dc; dc in next dc, inc; turn – 27 dc. Row 14: Inc, dc in next 2 dc, ch 3, skip next 3 dc, * dc in next 3 dc, ch 3, skip next 3 dc; repeat from * to last 3 dc; dc in next 2 dc, inc; turn. Row 15: Inc, dc in next 3 dc, * SB, dc in next 3 dc; repeat from * to last dc; inc; turn – 31 dc. Row 16: Inc, dc in next dc, ch 3, skip next 3 dc, * dc in next 3 dc, ch 3, skip next 3 dc; repeat from * to last 2 dc; dc in next dc, inc; turn. Row 17: Inc, dc in next 2 dc, SB, * dc in next 3 dc, SB; repeat from * to last 3 dc; dc in next 2 dc, inc; turn – 35 dc. Row 18: Inc, ch 3, skip next 3 dc, * dc in next 3 dc, ch 3, skip next 3 dc; repeat from * to last dc; inc; turn. Row 19: Inc, dc in next dc, SB, * dc in next 3 dc, SB; repeat from * to last 2 dc; dc in next dc, inc; turn – 39 dc. Row 20: Inc, dc in next 5 dc, * ch 3, skip next 3 dc, dc in next 3 dc; repeat from * to last 3 dc; dc in next 2 dc, inc; turn. Row 21: Inc, dc in next 6 dc, * SB, dc in next 3 dc; repeat from * to last 4 dc; dc in next 3 dc, inc; turn – 43 dc. 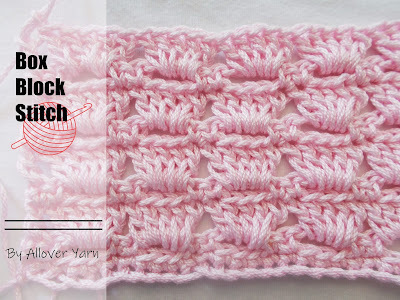 Rows 22-62: Repeat Rows 10-21 for pattern 3 more times, then repeat Rows 10-14 once more – 125 sts. Row 63: Ch 3, skip first dc, dc in next 3 dc, * SB, dc in next 3 dc; repeat from * to last dc; dc in last dc; turn – 125 dc. Row 64: Ch 3, dec, dc in next 4 dc, * ch 3, skip next 3 dc, dc in next 3 dc; repeat from * to last 4 dc; dc in next dc, dec, dc in last dc; turn. Row 65: Ch 3, dec, dc in next 3 dc, * SB, dc in next 3 dc; repeat from * to last 3 dc; dec, dc in last dc; turn – 121 dc. Row 66: Ch 3, dec, dc in next 5 dc, * ch 3, skip next 3 dc, dc in next 3 dc; repeat from * to last 5 dc, dc in next 2 dc, dec, dc in last dc; turn. Row 67: Ch 3, dec, dc in next 4 dc, * SB, dc in next 3 dc; repeat from * to last 4 dc; dc in next dc, dec, dc in last dc; turn – 117 dc. Row 68: Ch 3, dec, dc in next 6 dc, * ch 3, skip next 3 dc, dc in next 3 dc; repeat from * to last 6 dc; dc in next 3 dc, dec, dc in last dc; turn. Row 69: Ch 3, dec, dc in next 5 dc, * SB, dc in next 3 dc; repeat from * to last 5 dc; dc in next 2 dc, dec, dc in last dc; turn – 113 dc. Row 70: Ch 3, dec, dc in next dc, * ch 3, skip next 3 dc, dc in next 3 dc; repeat from * to last 7 dc; ch 3, skip next 3 dc, dc in next dc, dec, dc in last dc; turn. Row 71: Ch 3, dec, SB, * dc in next 3 dc, SB; repeat from * to last 3 dc; dec, dc in last dc; turn – 109 dc. Row 72: Ch 3, dec, dc in next 2 dc, * ch 3, skip next 3 dc, dc in next 3 dc; repeat from * to last 8 dc; ch 3, skip next 3 dc, dc in next 2 dc, dec, dc in last dc; turn. Row 73: Ch 3, dec, dc in next dc, SB, * dc in next 3 dc, SB; repeat from * to last 4 dc; dc in next dc, dec, dc in last dc; turn – 105 dc. Row 74: Ch 3, dec, dc in next 3 dc, * ch 3, skip next 3 dc, dc in next 3 dc; repeat from * to last 3 dc; dec, dc in last dc; turn. Row 75: Ch 3, dec, dc in next 2 dc, SB, * dc in next 3 dc, SB; repeat from * to last 5 dc; dc in next 2 dc, dec, dc in last dc; turn – 101 dc. Rows 76-115: Repeat Rows 64-75 three more times, then repeat Rows 64-67 once more – 21 dc. Row 116: Ch 3, dec, dc in next 6 dc, ch 3, skip next 3 dc, dc in next 6 dc, dec, dc in last dc; turn. Row 117: Ch 3, dec, dc in next 5 dc, SB, dc in next 5 dc, dec, dc in last dc; turn – 17 dc. Row 118: Ch 3, dec, dc in each dc to last 3 dc; dec, dc in last dc; turn – 15 dc. Row 119: Repeat Row 118 – 13 dc. Row 120: Ch 3, dec, dc in next 2 dc, ch 3, skip next 3 dc, dc in next 2 dc, dec, dc in last dc; turn. Row 121: Ch 3, dec, dc in next dc, SB, dc in next dc, dec, dc in last dc; turn – 9 dc. Row 122: Repeat Row 118 – 7 dc. Row 123: Ch 3, [dec, dc in next dc] twice; turn – 5 dc. Row 124: Ch 3, [yo and draw up a loop in next dc, yo and draw through 2 loops] 3 times, yo and draw through all 4 loops on hook, dc in last dc; turn – 3 dc. Row 125: Ch 2, dec – 1 st. Fasten off. Round 1: With right side facing, join B in top of last st; ch 1, 3 sc in same st, * [2 sc in next row end] 62 times to Center Row; 3 sc in end of Center Row, [2 sc in next row end] 62 times *, 3 sc in beginning ch; repeat from * to * once more; join with a slip st in first sc – 508 sc. Round 2: Slip st in next sc, ch 7, dc in same sc, * [ch 4, skip next 5 sc, dc in next sc, ch 4, skip next 5 sc, (dc, ch 4, dc) all in next sc] 10 times, [ch 4, skip next 5 sc, (dc, ch 4, dc) all in next dc] twice, [ch 4, skip next 5 sc, dc in next sc, ch 4, skip next 5 sc **, (dc, ch 4, dc) all in next sc] 10 times; repeat from * once more ending last repeat at **; join with a slip st in 3rd ch of ch-7. Round 3: Slip st in next space, ch 3, (3 dc, ch 2, 4 dc) all in same space, [sc in next space, ch 5, sc in next space, (4 dc, ch 2, 4 dc) all in next space] 10 times, [sc in next space, (4 dc, ch 2, 4 dc) all in next space] twice, [sc in next space, ch 5, sc in next space **, (4 dc, ch 2, 4 dc) all in next space] 10 times; repeat from * once more ending last repeat at **; join with a slip st in top of ch-3. Fasten off. Weave in ends.